9:30 pm - Music, Live Painting, Tarot Readings, Tea Lounge, Supportraits & more. 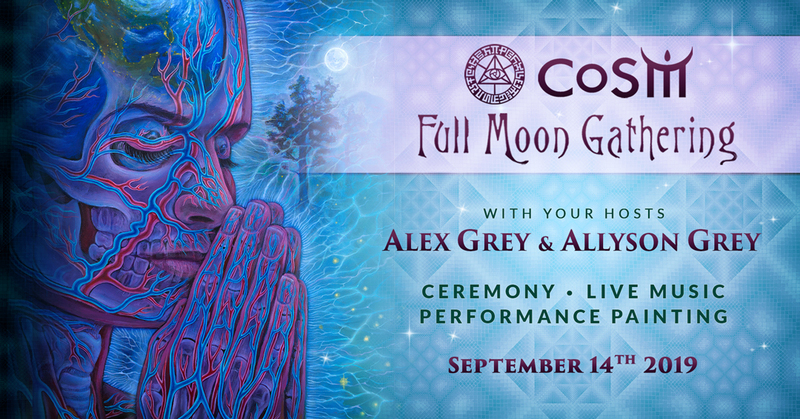 At the Chapel of Sacred Mirrors, Alex and Allyson Grey invite you to celebrate the Full Moon with an evening of wisdom and prayer from all faiths. In this inter-denominational ceremony, we embrace the richness of our diverse cultures in music, poetry and shared community. 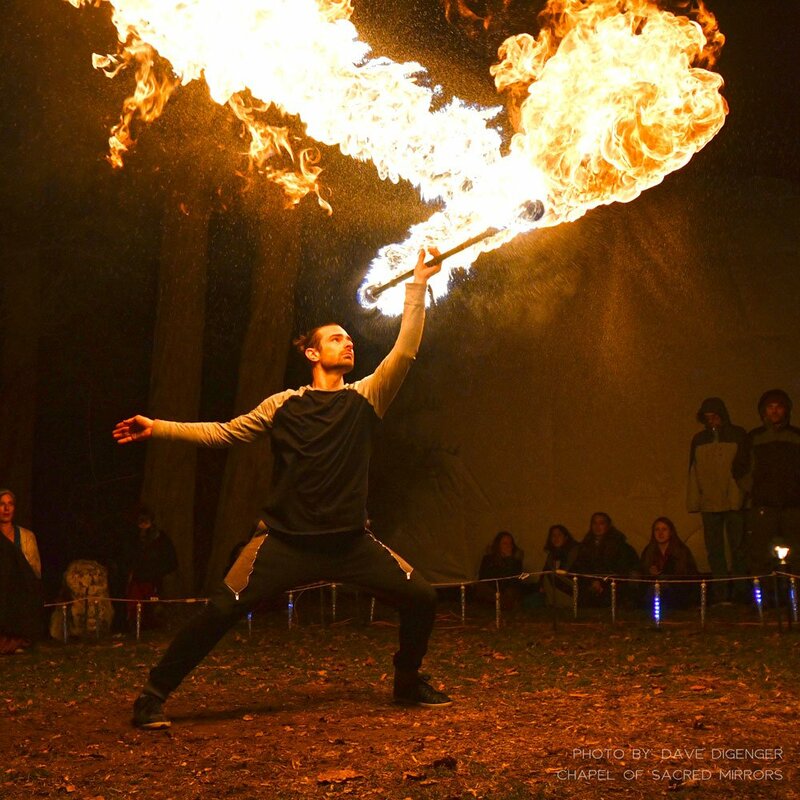 Come with an open mind and heart…expect lively dialogue and interactive experiences through art, music, meditation, prayer and rhythm. All are welcome. 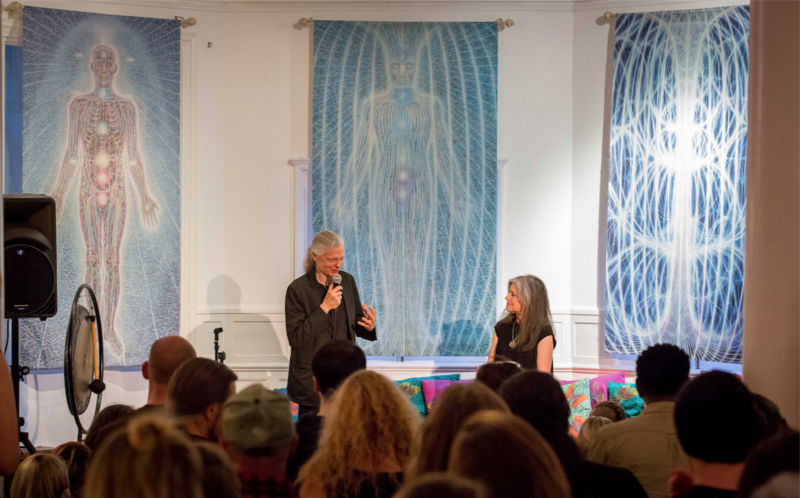 One portrait by Alex Grey each Full Moon to fund Entheon. 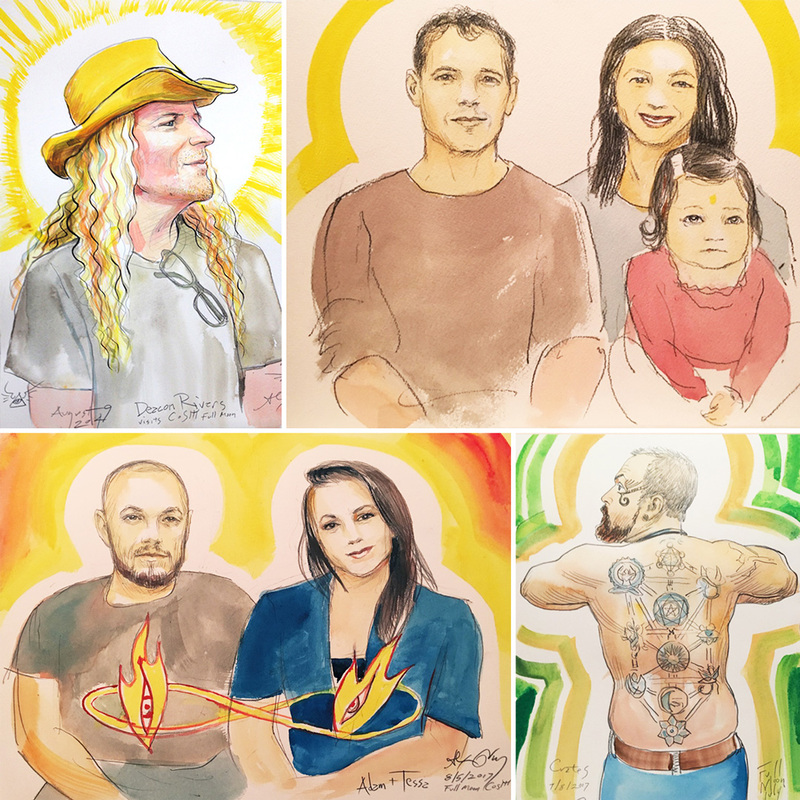 A Supportrait is a personal portrait of a community member or a couple attending the CoSM Full Moon Ceremony. Once each month, Alex commits an hour or more at the Full Moon, creating a portrait from life. 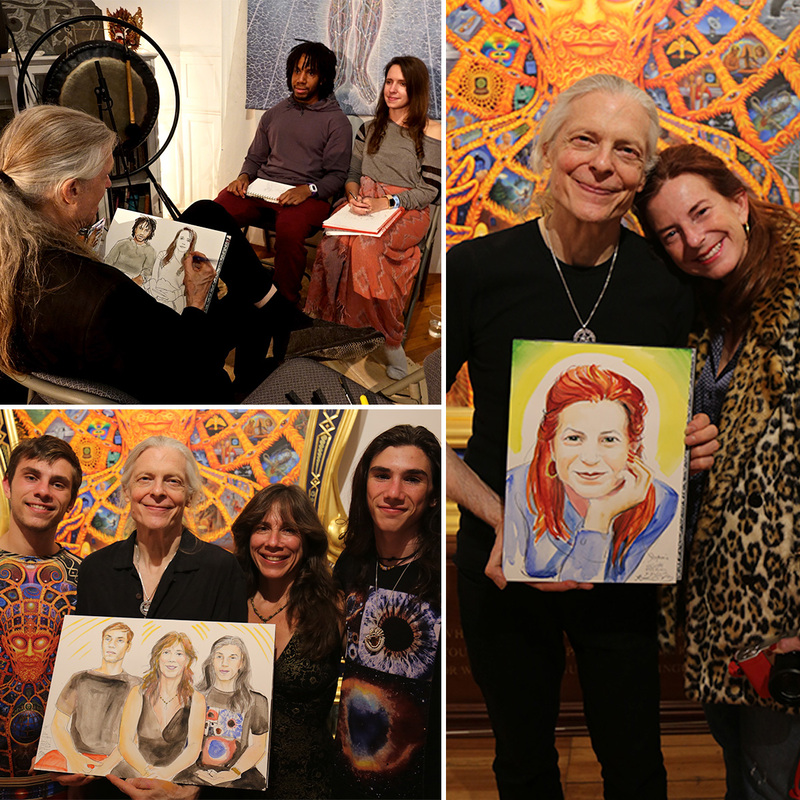 Reserve a Supportrait and make a donation to CoSM. 100% of this offering funds the building of Entheon, the Sanctuary of Visionary Art, now in construction at CoSM, Chapel of Sacred Mirrors. 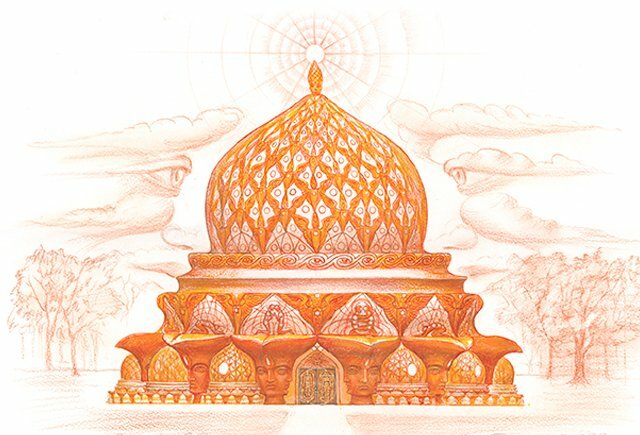 Help build a temple, a sacred legacy for the future, and receive and heirloom by one of the best-loved living artists today. 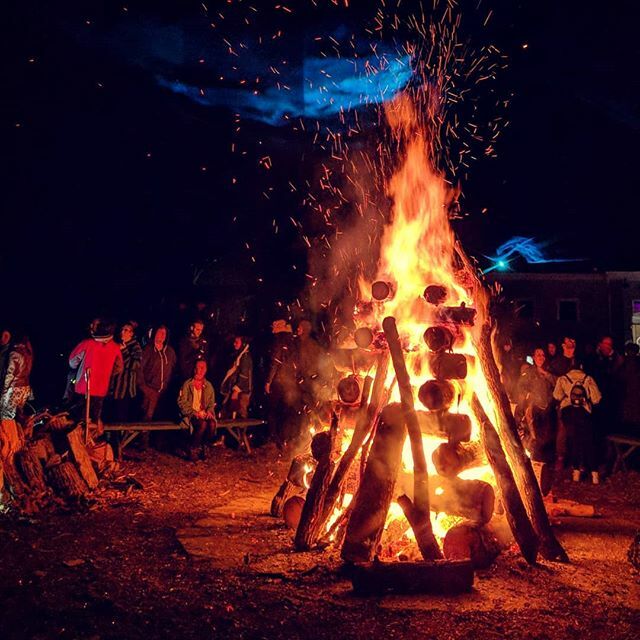 This is a family-friendly, drug and alcohol-free event. All visitors must leave the grounds before 1am. Tickets are a non-refundable donation to the Chapel of Sacred Mirrors.